Question: Which Judo techniques did "Ronda The Armbar Assassin Rousey" use in UFC 175? Answer: Harai Goshi - Hip Sweep Throw--> into Kesa Gatame - Cross Chest Hold. 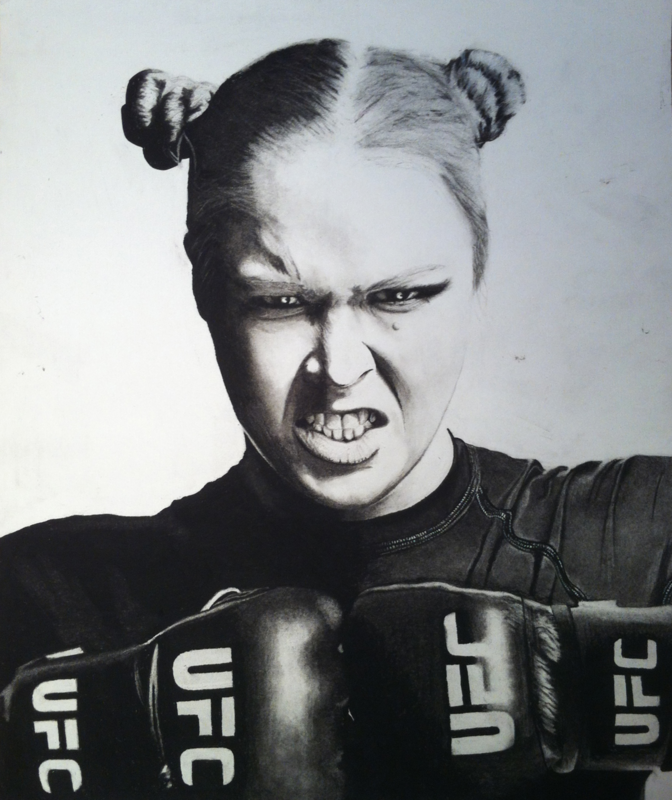 Ronda Rousey is getting ready to defend her UFC bantamweight belt once again. 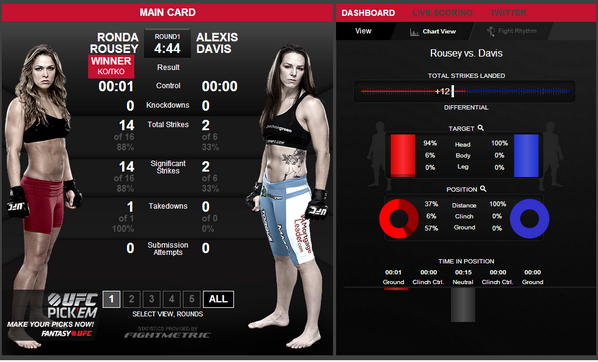 The challenger this time is Alexis Davis, a Jiu-Jitsu black belt. This prompted the champion to get a little bold in a recent interview for the Great MMA Debate podcast. Ronda Rousey faces Alexis Davies in the co-main event of UFC 175, next July 5, in Las Vegas. The Jiu-Jitsu community reacted quickly to Ronda Rousey’s statement saying that she would beat any women in BJJ in any setting of rules. The UFC bantamweight champion is getting ready to fight Alexis Davis, a Jiu-Jitsu black belt under Cesar Gracie. Beatriz Mesquita, the 2014 lightweight and open class world champion, also weighed in on the matter: “First of all she is dead wrong, I don’t think she can beat any of the current black belt world champions. The skill level is so high, and all she knows is that armlock. Mackenzie Dern, one of the most active competitors in the black belt division, also shared her opinion: “It’s more a marketing thing! She always does things like that before her fights. The way she talks, it seems that she could defeat anyone of us whenever she wants. That’s just wrong and disrespectful. If she lost in the Olympics, that means another woman was better than her. Ronda Rousey might have an opportunity to prove her point. 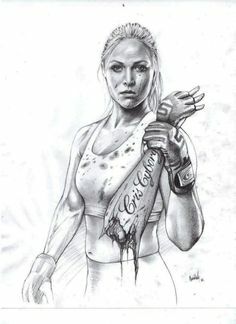 In a recent interview on The Great MMA Debate podcast, Rousey said "judo fighters that are good on the ground never really got the respect they deserved" and that she "can beat any BJJ girl in the world, gi or no-gi, any weight division, black belt all the way in any rule setting." The current lightweight and open class jiu-jitsu world champion, Bia Mesquita heard her quotes and wants to challenge the UFC bantamweight champion. "She’s completely wrong," Mesquita told MMAFighting.com. "She has no idea of what it's like to fight a jiu-jitsu world champion in the black belt division." Mesquita weighs around 141 pounds during jiu-jitsu competition and was willing to move to MMA only for a chance to defeat Rousey. "I already considered moving to MMA only to get her, but I don’t have to think about it anymore since she’s willing to compete in a jiu-jitsu match," she said. "I think she gets too much credit and is not even that good. Her striking is regular, and she has a lot to improve on the ground. It would be great to fight her and show what a real ground game and jiu-jitsu are." Rousey (9-0, 8 submissions) takes on jiu-jitsu black belt Alexis Davis at UFC 175 on July 5, but another armbar finish won’t impress Mesquita. Competing against world-class grapplers is a different challenge, according to the Brazilian grappler. "I think it would be tough for her to surprise me or any other world champion in the black belt," she said. "It’s a whole other technical level. It goes way beyond that armbar she does to girls that are inexperienced on the ground. But a fight is a fight, who knows what could happen." Metamoris 4 will feature UFC stars Chael Sonnen and Josh Barnett on Aug. 9 in L.A., and Mesquita feels it’s the perfect platform for her challenge. "It would be great if Metamoris could put up this challenge. Nobody would miss it," she said. "It would be an honor to represent the female jiu-jitsu (against Rousey). I would also stop this talk that she’s unbeatable." "I would rather fight her with the gi, but I’m a three-time no-gi world champion in the brown/black belt," Mesquita added. "Whatever she wants, gi or no-gi, under Metamoris rules or any other rule, I’m ready to take this challenge and honor jiu-jitsu."